Overall, steppes, Sudanian savannas and Sahelian short grass savannas have experienced dramatic losses during the last 38 years, yet they remain the predominant land cover classes, accounting for 30 percent, 18.5 percent, and 15 percent of the mapped area, respectively, in 2013. The decrease in steppe is largely explained by the expansion of sandy areas in the Akle Azaouad (AKA) and Tilemsi (T) ecoregions. Increasing aridity also impacted the steppes, pushing them southward, in places encroaching on the Sahelian savannas. Losses of Sahelian and Sudanian savannas, however, result more from human activity — the expansion of agriculture that has occurred across southern Mali. by 400 percent, or 4,600 sq km, mainly along the Niger River and its tributaries in the southern part of the Inland Delta. The Inland Niger Delta is a highly dynamic and complex ecoregion of landscapes that interact with the ebb and flow of seasonal flooding (see Inland Niger Delta). There is also considerable year-to-year variation in the extent of flooding. Despite this, the land cover types within the Delta have remained relatively stable, although there has been some encroachment of irrigated cropland in the southern Delta. Natural habitat destruction is a major environmental issue in Mali. In addition to savannas, gallery forests have decreased by 23 percent due to population and agriculture pressures between 1975 and 2013. Clearing these forests causes severe water erosion, which removes the topsoil, reducing land productivity and creating conditions that lead to desertification. 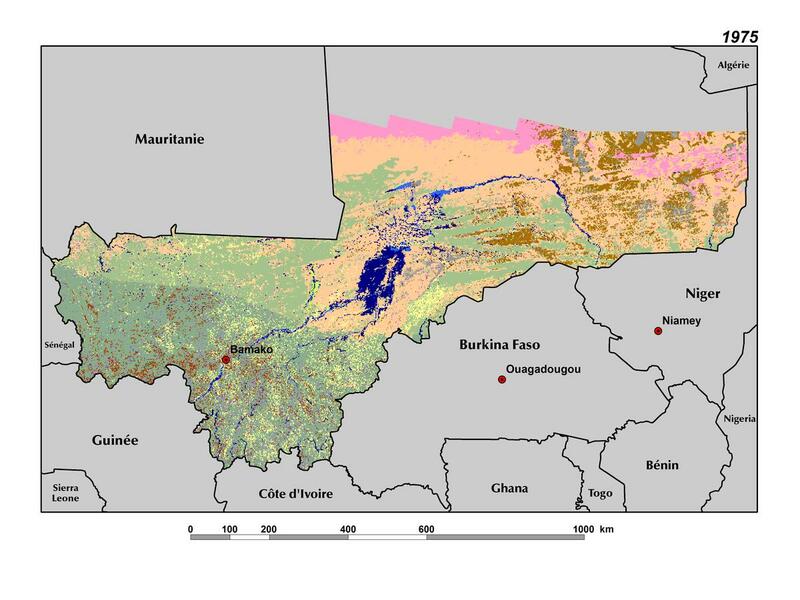 On a positive note, the hundreds of swamp forests that occur in natural depressions across the semiarid Sahel remain largely intact, providing critical habitat for wildlife.